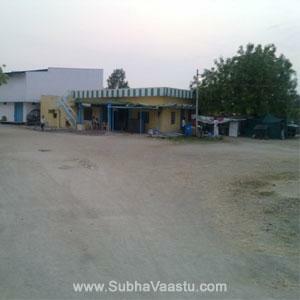 Farm House Vastu: In olden days, our elders concentrated only on farms, fields, agriculture. Now we are concentrating on computers, we forget about the farmer and farm houses. It may be a history for our children. Fortunately, still, we are remembering our childhood days which we enjoyed in farmhouses and agricultural fields and our swimming days in the wells, those who have such village experience they never forget such golden moments. Farmers will be able to have a constant watch over the huge stretch of fields. Most of the villagers and farm house owners are constructing accommodation or a farm house, it's most important for them. Doing agriculture means, bidding high stake with life. By observing several instances, we thought that farmers should be ready to face any critical conditions or they should be ready to bear the distress crisis which most of the times experiences with bad contingent water motor pump troubles, a sudden plummeting of the market prices for the crops etc. Sometimes we found disband their products on roads, because of rapid declining market price. They even did not get the transport charges, so they dropped all the agricultural products on the roads. In different places these farmhouses called with many names like ceiling truss, Grange, Homestead, ceiling truss, husbandry shed, farmstead etc. One word may not be used in all places, for example, we have one friend who is doing practice as a vastu consultant in Houston, he told us their friend called farm homes as Cottage house. Likewise, people called their own names in different area. 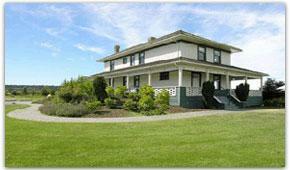 The farm house vastu must have a scientific design i.e. according to Vaastu principles then it becomes prosper and grow vigorously. The house must be constructed at Southwest direction in the farm. The most important source - that water which comes mainly from water sump or a bore well, must be instilled at Northeast/Ishan, i.e., Northeast direction of the farm. Many People think that with hard work one can achieve anything. But there are certain factors which are beyond human reach. Vaasthu makes the surroundings and the country at the cage, a greener and bounties one. In Vastu the constructions are important and they have to be constructed as per Baasthu shastra. We have to discuss many things here if one has a farm house, how much time he is living in that property, how many times he is accessing that property from his original living area or house. All these are the countable and considered when we check Baastu for the farm house. Many farmers are now selling their properties and moving to nearby cities, it happens due to their kids education, lack of power, labor/ labor issues, maintenance issues, fewer profits from the yieldings, lack of seed and the like. Due to radical changes in society now Very hard to maintain the fields now. 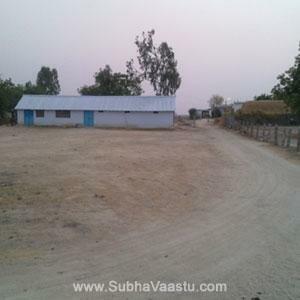 If one has to plan to build the farm house at his field, then it is better to show that property to one expert vastu consultant, after visiting the entire field, he can easily recommend to the farm arable land owner how to construct the farm house, where and which style and measurements and the like. The fields are very huge in measurement, sometimes we cannot build the house at Southwest and we cannot dig the sump or bore well at Northeast corner, then how to manage our farm fields as per vastu shastra, there are some techniques and tips to follow good vastu principles at farm fields. Make sure that the farm house which was constructed at farm field should not have more open space towards West or South direction sides or both West and South sides should be covered with any structures or with even dry grass setup like with mountain type like RICK, so that Southwest breezes never enters and also this could fail the vision/force. In this image the farm house got more open space towards East and North, this photo was taken by standing center of the exact Northeast of this farm house. This farm house has much more open space towards Northeast corner, this had North road and East road too. This farm house is having a big shed towards South direction and Southwest and West was covered with some sheds, there is a gap of 8 feet in between hen farm and main house at Northwest direction, there is a small structure was shown in this image at Northwest, this type of construction is the best way of construction at farm fields. Observe this image: This farm house does not have any protection from surroundings effects. This photo was taken from Northwest of this shed. the shed was directly hit from Northwest and does not have any protection from West or from Northwest, there is no any boundary wall, East was covered and North direction only has more open space. There is a hit from Southwest also observed. This is not a recommended construction, they require to construct one boundary wall and has to observe the surroundings effects on the structures. 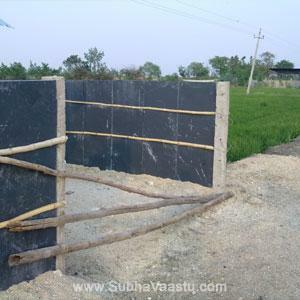 Compound wall with slabs: This is just like a compound wall and can expect some results, some villagers do not have money to construct the compound wall, for them this is the best idea to have their own boundary wall. This is the way to prepare with Kadapa slabs jointing with bamboo sticks, cheap price and long run and particularly the purpose is solved for time being. If built with bricks or cement structure then it costs more to the grower. So the producer should always be protected from the neighborhood vastu with small expenditure. Instead of constructing the compound wall, rancher may plant trees to get protection from encompassing effects on their living structures. At the time of taking photo still work is going on there. The height of this protection wall/Kadapa slab is 5 feet. Wood Carving work: In one village we observed this wood work, these are the pillars used, just like cement slab as we used nowadays. This is almost 150 years old house/construction, still, its condition is excellent, it was constructed with stones. Owners are still living in this house, now 4th generation is living in this home. On those days kings were usually visiting this property to take rest and honored by nearby villagers. The construction is excellent and constructed perfectly 90°. The shown door is East door, the total East is floor depressed at about 30 inches, in this image it was not clearly shown. But it was there 30 inches depression/ lower level at East direction. After visiting this property we expected, owners may have approached one Vastu expert on those days. They are very rich. Still, new generations are living in the nearby city and their parents are living in this home. 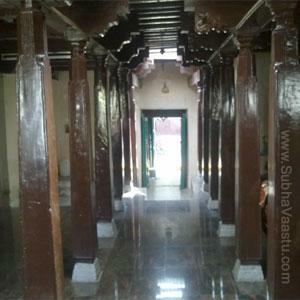 The structure was built with stones and pure wood was used for pillars and top. The proverb is "FARM HOUSE VAASTU ADVISES – HAPPINESS TO FARMERS". Following vastu is not an evil but we may expect more good results once we got up vastu consultancy services for our properties. 1. For any constructions or structures in the farm fields, it should require protection from South, West and Southwest corners. 2. This structure should not have water wells at South, West or Southwest corners. 3. This structure requires more open space towards East and North. 4. Requires very huge trees towards West, South and Southwest directions. 5. Plan to have East road, North road and requires to have Northeast walks for this farm house. 6. If this structure is at Southwest corner of the farm house, then don't plan water storage sump or water wells at Northeast. 7. Plan to construct the farm house at Southwest corner in the farm field. 8. The dais constructed towards North or East should not be above the inside floor levels. 9. Water storage tank/ sintex tank may be best suitable at Southwest corner of this house premises. 10. You may plan for the compound wall for this house. 11. If Southwest is not possible to plan for the construction then plan to construct it at West direction or South direction. 12. More trees mean, more attraction to the property, please observe this point. 13. As much as possible try to arrange floor grass at the open areas in your house East and North areas. 14. Cow sheds may be planned at Northwest areas of your house. 15. Toilets may be planned at Northwest areas of your property. 16. Ample land is available for Villagers, better to plan for good vastu farm house in their agricultural land. 17. In Villages, almost all villagers have compassion mentality, by seeing the compassionate personality of villagers we are providing Free Vastu Services here. 18. For water sources to their lands, generally villagers make some small groove to their land and this furrow way should not hit their farm homes in wrong ways. The channel canal should not be in the wrong ways to their lands. 19. The trough should not be kept exactly at Northeast corner. Many villagers kept water trough to feed their animals, those water feeding container should not be kept at Northeast corners. These may be generally kept at Northwest areas. 20. Some residents keeping the trough at Northeast, but this is not the correct procedure. 21. To wither some agricultural products, some residents keeping a lot of open space at Southwest direction, this is not good idea, keeping open space towards Northeast or North or East is advisable. How to find the directions of a property? How to build godowns as per vastu shastra? Vastu consultant in Tennessee, need vastu advice? Compound wall Vastu, how to build the wall with vastu? Where to plant the trees, which direction is good to plant the trees? How to use compass, how to know directions with the help of compass? Thank you Mr.Suresh garu, i greatly appreciate you , facts about vastu provided here are very much usefull .